The Early Career Excellence in Research Awards will be awarded to two Chemistry or Biochemistry graduate students who have demonstrated extraordinary success in research early in their graduate careers. 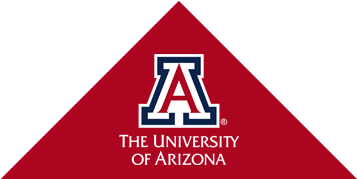 Only the research accomplishments demonstrated since the student’s start in the graduate program in CBC at the University of Arizona will be considered. The Award will consist of an official Award certificate and a significant cash prize for each of the two awardees. One award will be given within each of the two student categories: (1) those who have just completed their first year in the CBC graduate program and (2) those who have just completed their second year in the CBC graduate program. Written nominations are solicited from CBC faculty. Nomination packets must include a formal letter of nomination, the nominee’s resume, a one-page description of research accomplishments, and an abstract for a presentation to be given at the Annual CBC Research Symposium. Only one nomination per category is allowed per research group. Three finalists within each of the above categories will be selected by the Graduate Program Committee and will appear before the Committee to make a 15-minute presentation on their research accomplishments at the Annual CBC Research Symposium. Based on the presentations and other assembled information, the Graduate Program Committee will select one awardee within each of the two categories.